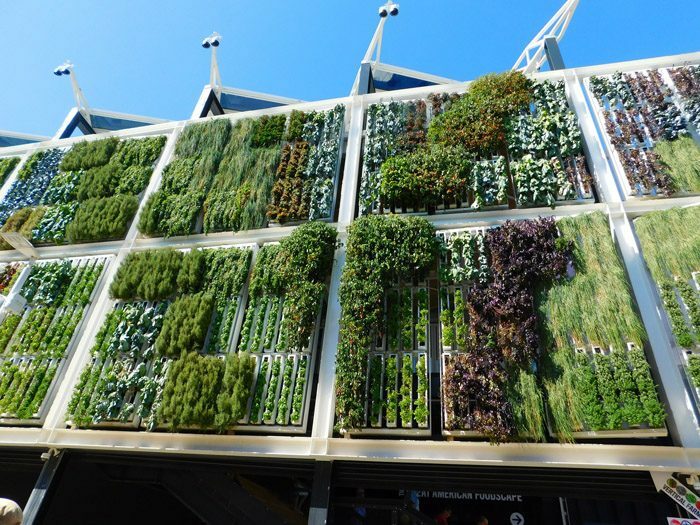 A vertical garden is another way for homeowners to give their homes a more natural look and feel and, unlike most other options, this one does not consume so much space. It’s in the name! All you need for this project is a blank wall as well as the right plants and a few other things highlighted below. 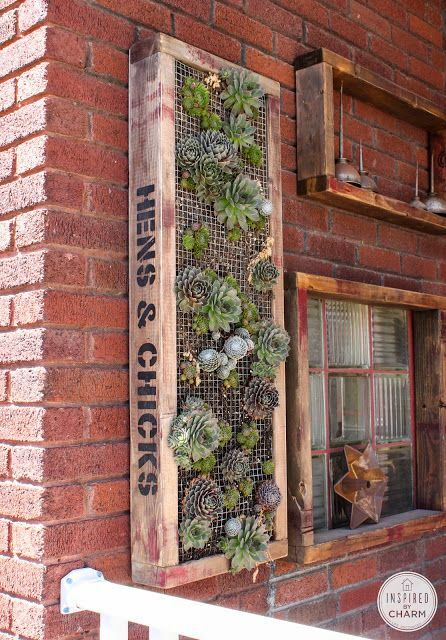 When it comes to vertical gardening, any wall is a good wall. Even the ugly wall you’ve always wanted to cover up is a good wall. Unless you want a large vertical garden or trees planted on it, any wall that you’ve chosen should be a good enough option. Once you’ve selected a wall, assess the amount of sunlight that wall gets on any given day. From there, choose plants that can thrive on the conditions. 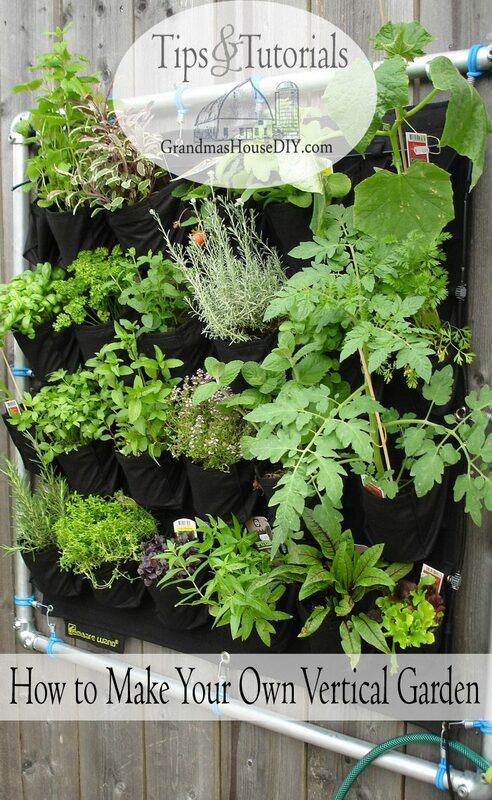 The wall of a vertical garden is, in essence, a tri-layer sandwich of fabric, frame, and plastic sheeting. This setup should be built before it is hung. However, it is possible to attach the parts to the wall directly, although doing so means it will be more difficult to take down later. The frame can be built from elbows, four-way joints, and PVC pipe (3/4 inch). Metal and wood should not be used, the former due to its costs and weight, and the latter because pressure-treating would be needed to protect it against rot. Attach the plastic sheet to your frame so it will serve to back the fabric layer and help keep water from the wall. Expanded PVC sheets are a good type of plastic to use, although similar options are just as good. Just make sure to ventilate the rear if applying to a wooden wall. The fabric should then be attached to the frame at this point. The best fabric to use, one that can hold water so plants will live, is felt carpet padding. Similar options are just as good, however, as long as they retain water without rotting. At least a couple of layers of fabric are needed. These need to be stretched across the frame like you would canvas, then attached using stainless-steel staples and galvanized screws. When doing this, make sure the fabric is taut, secure and is without winkles or buckled. 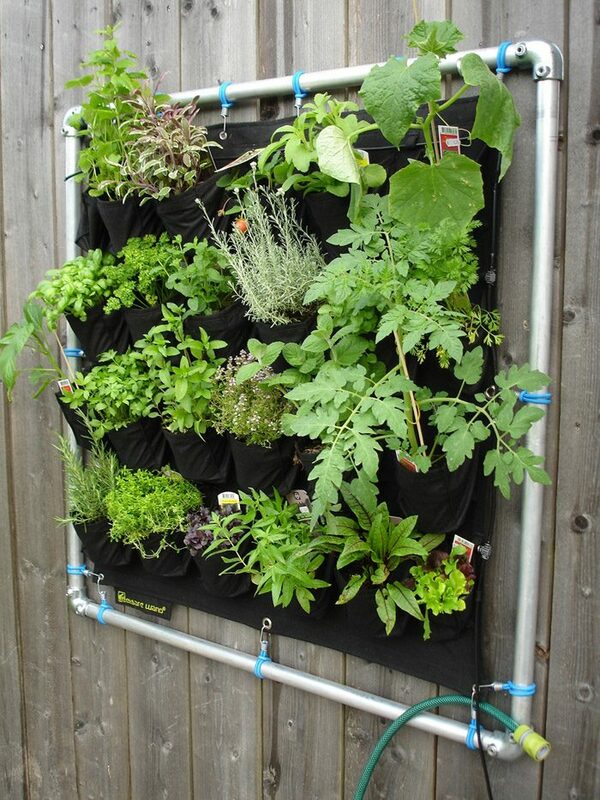 In order for plants to keep thriving on the wall, an irrigation system capable of providing moisture all throughout the layer of fabric is needed. Your best bet is the purchase of a standard valve as well as irrigation drippers, but it’s also important that you have a propagation timer which you can set for seconds instead of minutes. A quick and steady flow of water at least three times each day is something you may want for your setup, depending on the type of setup you have and weather conditions in your area. An emitter should be attached every two or three inches at the top tube. At this point, you can experiment until you find the balance between keeping your wall wet whilst not over-watering plants. – Use stainless steel hardware to attach frame to wall so rusting is prevented. You’re fine with using hooks if you believe the frame needs to be removed. Otherwise, brackets screwed to the frame and wall would also work. – An irrigation system can be fed with rainwater stored in a tank. If you’re going for this method of irrigation, however, make sure to keep the rainwater harvesting system free of contaminants. You should also learn how to prevent mosquitoes from breeding in water tanks prior to installation. Add the fertiliser injector and attach the irrigation system to a source of water. A fertilizer injector is the easiest way a wall garden can be fertilized, so attach it to the irrigation valve which will send the liquid fertilizer to the irrigation system. Afterwards, hook the irrigation system up so it is connected to the water source. An irrigation filter needs to be purchased so you can filter water to ideal levels. This you can get for cheap and is available at numerous hardware stores. Expect some runoff. Manage runoff by having a flower bed planted under the vertical garden. Like all gardening endeavours, take humidity, sun, wind, cold, and shade into account when you choose plants. In this case, you may want to select plants best for a zone colder than one you currently reside in. If you live in a zone nine area, for example, you might want to plant a zone six plant. If building a detachable wall you can plant evergreens in, try to store it somewhere cool and dry during winter. To set the plants into the exterior layer of fabric, get a razor blade and use it to make horizontal cuts onto the material. Get a good amount of soil off the root ball of the plant to prevent root rot, then insert the plant into one of the cuts. With a staple gun, set staples to attach cloth to plastic backing. Make sure to attach in a semicircle around root ball to form a secure envelope. – Choose plants which can grow up to three feet out from your garden wall. These should be planted at the top section so that they create shade for the other parts. However, if you do this, remember to plant species tolerant to shade under these plants, like ferns. One should also remember that plants that are at least eight feet from the ground often will droop, so you might want to trim that plant a little bit. 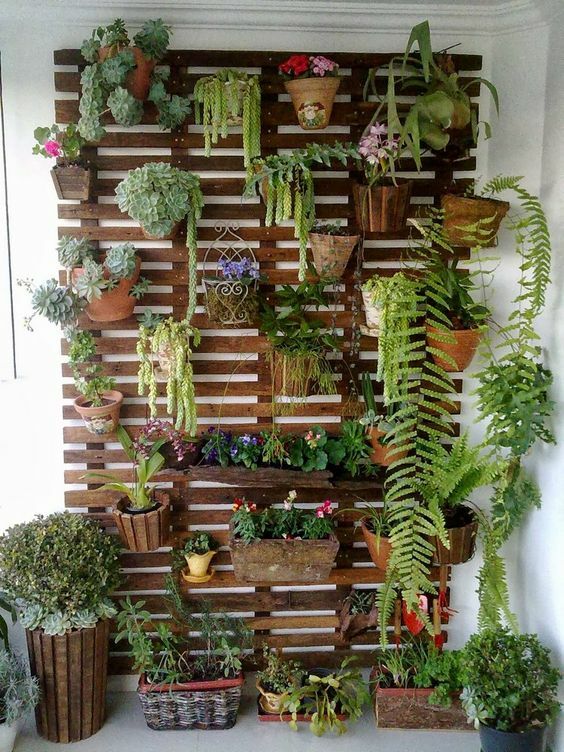 – Another great idea is setting up your plants in vertical strips. One example of this is setting the shade-loving plants in one side and sun-loving plants in another section. To achieve a dramatic effect this way, make sure to put a plant normally seen on the ground on the wall.